Casino Hold'em Progressive Jackpot goes live at Leo Vegas. Leo Vegas goes live with the Casino Hold’em Progressive Jackpot from Evolution Gaming. 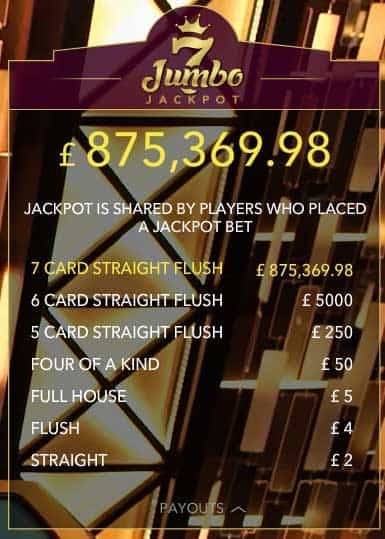 They are the first live casino to have access to the Jackpot, otherwise known as the Jumbo 7 Jackpot. 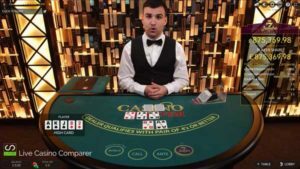 It’s the second game to benefit from a Progressive Jackpot, following the first that was introduced by Evolution on Caribbean Stud Poker in January 2017. It’s an optional side bet, Jumbo 7, will appear on the table if the Casino has opted into the facility. The Jackpot is network shared, which means that any players playing the jackpot bet across all casinos will win a share of the Top prize. Leo Vegas players will get first shot at the Jackpot, but probably only for a few days until it goes on wider release. There is a range of Lower fixed odd prizes that can be claimed for lower value hands. The Casino Hold’em progressive jackpot has initially be seeded by Evolution to the value of €1,000,000. It will be paid out when a 7 card straight flush is dealt to the player hand. The player will win even if his hand is beaten by the dealer or he has folded. The lower fixed prizes are not shared between players. Each player playing the side bet will win the amount shown below. 6 Card Straight Flush pays 5000 for 1. 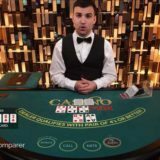 5 Card Straight Flush pays 250 for 1. Four of a Kind pays 50 for 1. Full House pays 5 for 1. Flush pays 4 for 1. Straight pays 2 for 1. The return to player (RTP) for this side bet is 81.64%. The payout amount is relative to the currency that is being played in. Players playing in GBP will win a share of £1,000,000, whereas players playing in Euros will win a share of €1,000,000. 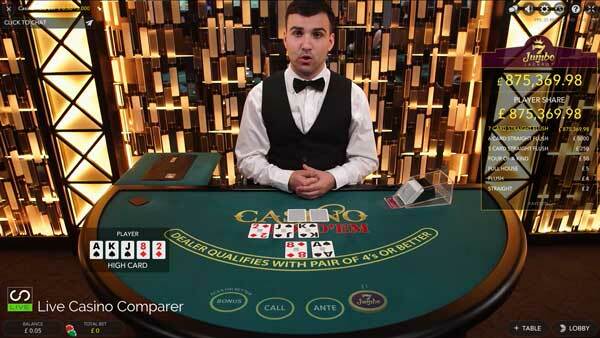 Leo Vegas has been given the early bird exclusive for the Casino Hold’em Progressive Jackpot. If you want to be one of the first to play it and increase your chances of winning more of the jackpot (as there will be less playing it), you should head over to Leo Vegas.